Dandelion Theatre Arts is looking for a cast of girls and boys for their production of Tangled to be rehearsed and performed in Epsom this Easter. Their latest workshop will be held at the Methodist Church Hall in Epsom from Monday 4 To Friday 8 April from 9.30am until 3pm each day. Any children aged six or over who enjoy acting, singing and dancing and who love a happy ending are needed! Due to popular demand there will be a two day workshop for younger children aged 4-6 years on Thursday 7 and Friday 8 April. Dandelion Theatre Arts will help the children recreate Disney’s 50th animated film on stage to perform to family and friends. 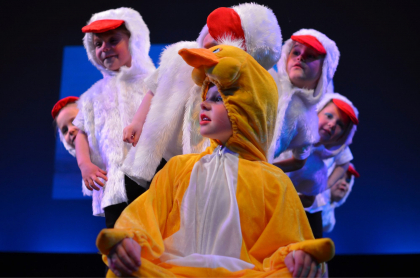 The theatre company will provide professional tuition, music, make up and costumes and the children are asked to provide enthusiasm and smiles! Previous workshops have been recommended by participants and parents and the children will gain friends and confidence, while having a fantastic and creatively constructive time. Running from 9.30am to 3.00pm each day the workshop costs £150 or £130 if booked by 11 March. The two day workshop for younger children will cost £60.